Print up for game day this awesome Eagles horizontal striped printable flag. 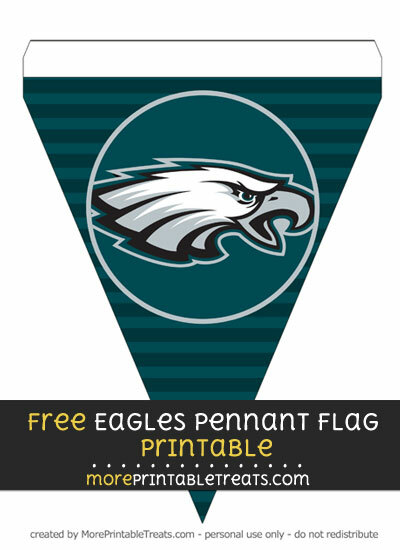 This Eagles flag has a teal green background with a gray circle outline. There is a horizontal striped pattern with darker teal on the background and the Eagles logo is in the center of the outlined circle.